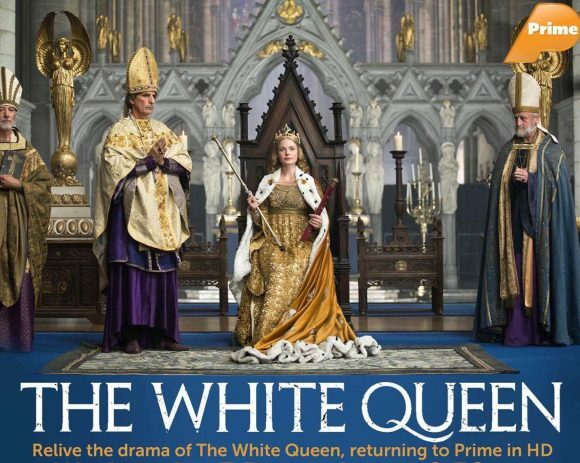 In a welcomed but much overdue departure from convention, Prime will re-run The White Queen in HD (8.30 Wednesdays from tonight). Since converting to HD on the Sky platform, Sky has persisted with SD re-runs of series it licensed before the changeover. Given how long in gestation the HD switch was for the channel, you’d have thought it would have been licensing content in HD up to two years ahead of the upgrade. Instead, programmes like Doctor Who, Top Gear and David Attenborough series and specials have continued to languish in SD. So it’s refreshing to see it resurrect in 1080i the 2013 miniseries about three women contending for the crown in 15th century England. Of course, it would have been a poor look for Prime had it repeated The White Queen in SD when the series can be streamed in HD-ish quality on Lightbox. Even so, kudos to the channel for demonstrating its commitment to HD and recognising its importance as a tool in promoting a programme’s appeal, especially when it’s being used as a curtain raiser to one of Prime’s big guns for 2017, The White Princess. Starz has yet to announce a premiere date for the eight-part follow-up, which stars Jodie Comer (Thirteen, Doctor Foster), Jacob Collins-Levy (Glitch), Michelle Fairly (Fortitude) and Joanne Whalley. Tonight also sees a late change to Prime’s line-up, with the 7.30 HD special, Buble at the BBC. Gotham s01 was largely forgettable, s02 is much better, the show finally gets going. S03 is wow !